Make your mark at Acero Schools. Apply here for current opportunities and general consideration. 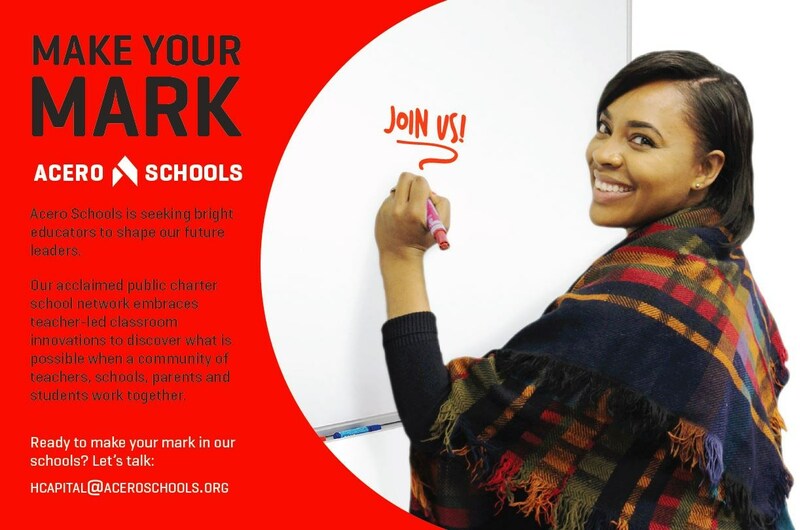 Apply here for school-based positions for SY 2019-2020. 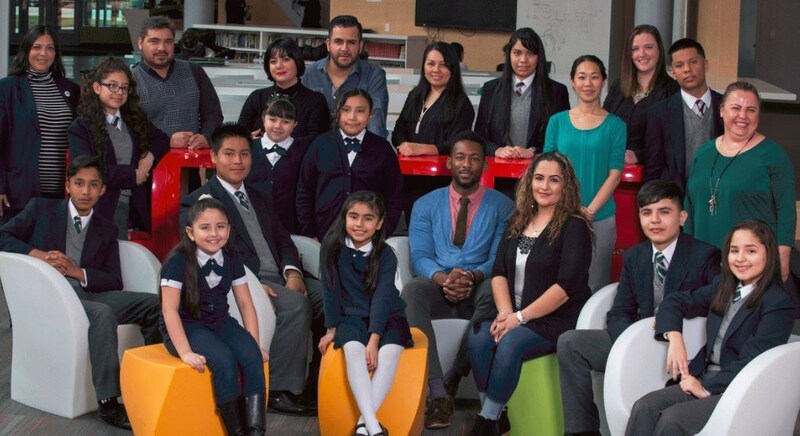 Acero Schools is the top-performing public charter school network in Chicago, with 13 Acero campuses ranked at top performance levels by Chicago Public Schools. Our success as a school network is a reflection of what is possible when a community of teachers, schools, parents and students work together. We have something special here growing and we want you to help push us to that next level -- we're talking best school network in the country. We have what it takes --- great staff and great students! 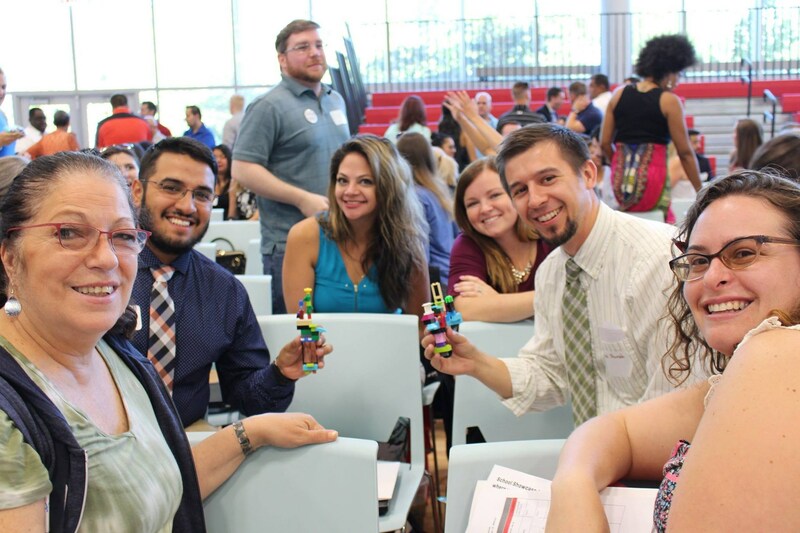 Collaboration with fellow teachers? Yes! We encourage it! Parent buy-in and engagement? Yes! Our families and staff have great relationships! Student centric learning experiences? Yes! We provide resources for personalized learning and culturally relevant instruction. Meet our Talent Acquisition Team out on the road. 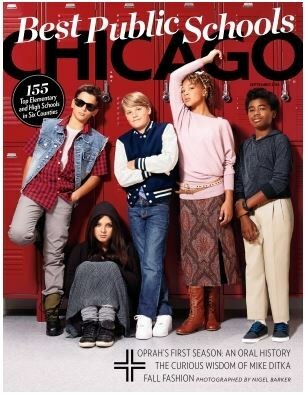 Acero Schools - Esmeralda Santiago Charter Elementary School ranked in the top 5 among all charter elementary schools in Chicago for the 2nd year in a row in Chicago Magazine! Students at Santiago sit in the driver seat, as staff take a new, thoughtful approach to personalized learning. Congratulations to the students and staff for their leadership in learning! Ready to join our community of diverse learners but worried about Chicago winters?